Perth Individual began from a small house on Egham Road in Burswood. The Montessori College has now grown to occupy 4000m2 of grounds between Egham Road and Leigh Street, Burswood, with frontage onto Burswood Road. The College has a variety of individual buildings, with a well-shaded playground, open space and sand activity areas in the centre. The College follows the Montessori philosophy where possible, utilising shared public spaces such as the adjacent GO Edwards Park for sport, play and science associated curriculum activities within the wetlands and park area. 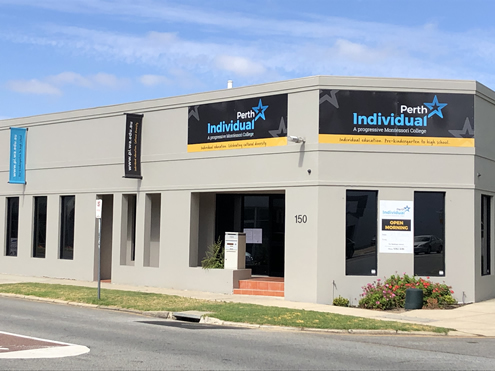 We consider Perth and Western Australia our campus which means that our students are frequently involved in excursions or projects external to our campus.